A very beautiful couple shared photos of their family taken three years apart and it’s fast going viral. The first photo was taken in 2015 and the other was taken in 2018. The couple wore the same outfit, but in place of their dog, they now have a beautiful baby girl. However, people are amazed by the woman’s ripped physique. 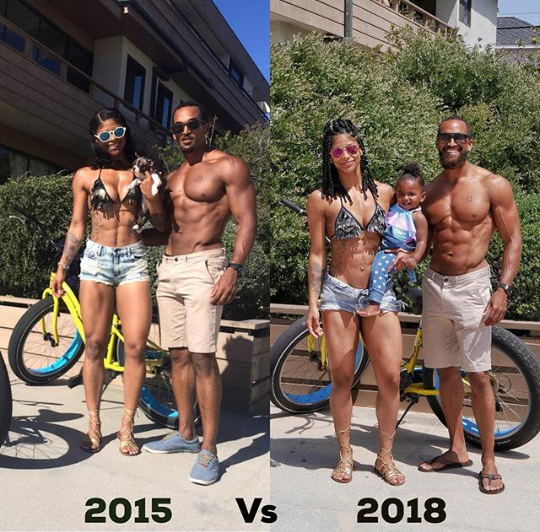 Despite having a baby, she still has washboard abs and so does her man, but his isn’t really a surprise because he didn’t carry a baby.